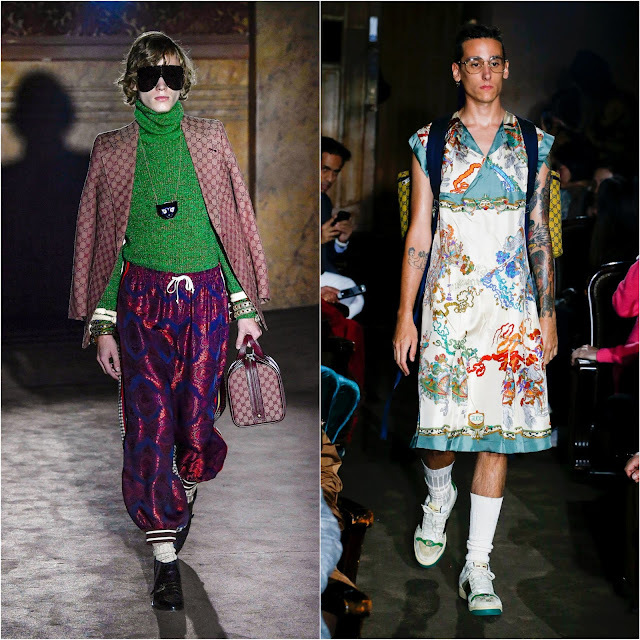 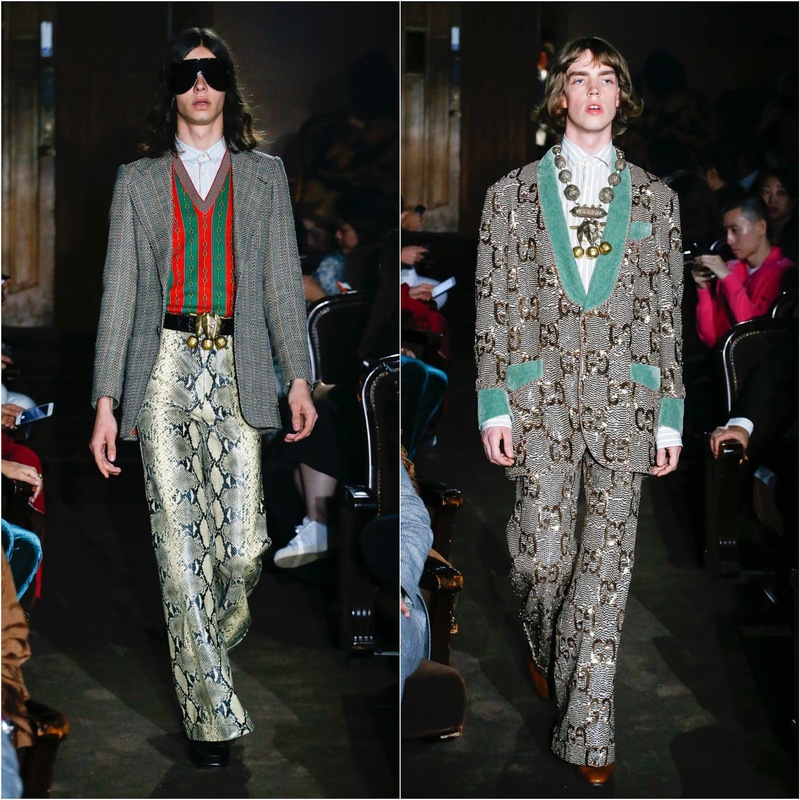 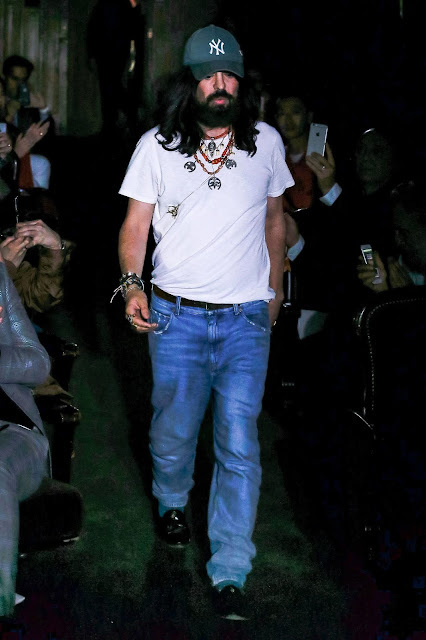 WHAT: Gucci Spring/Summer 2019 by Alessandro Michele. 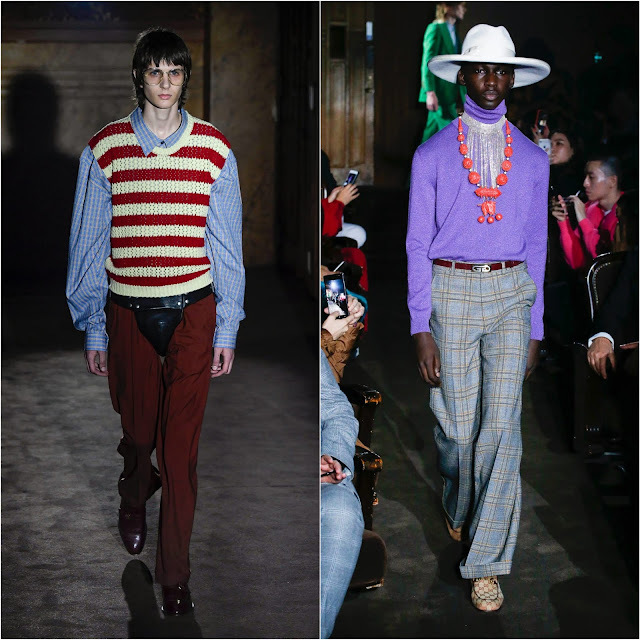 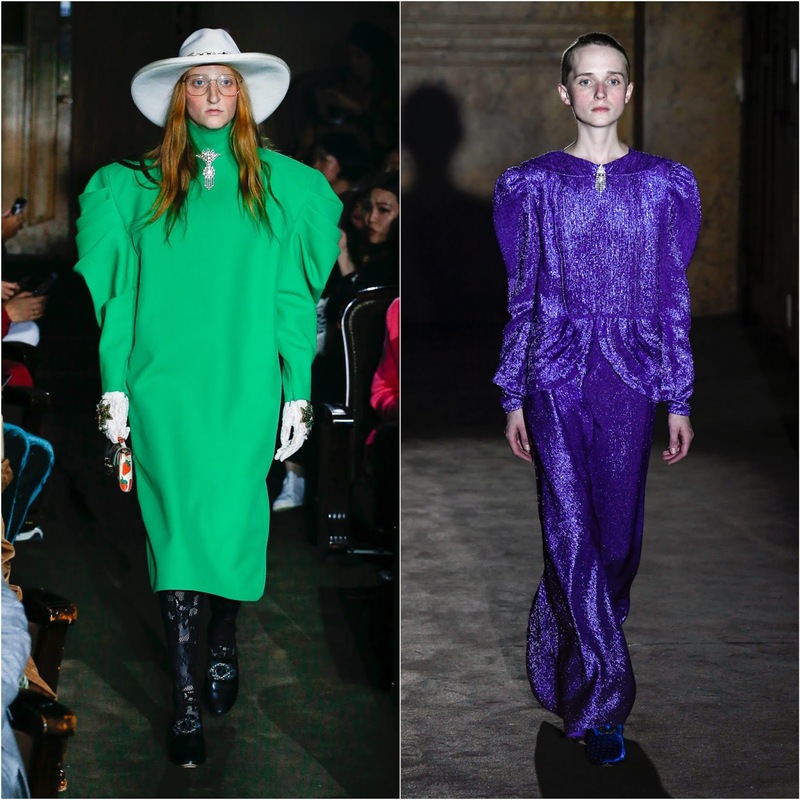 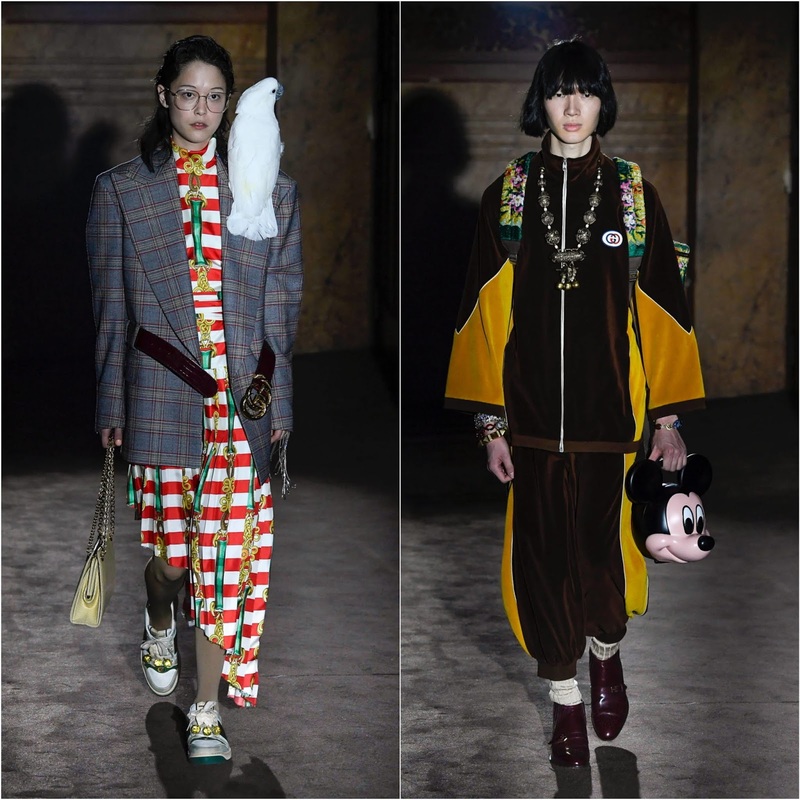 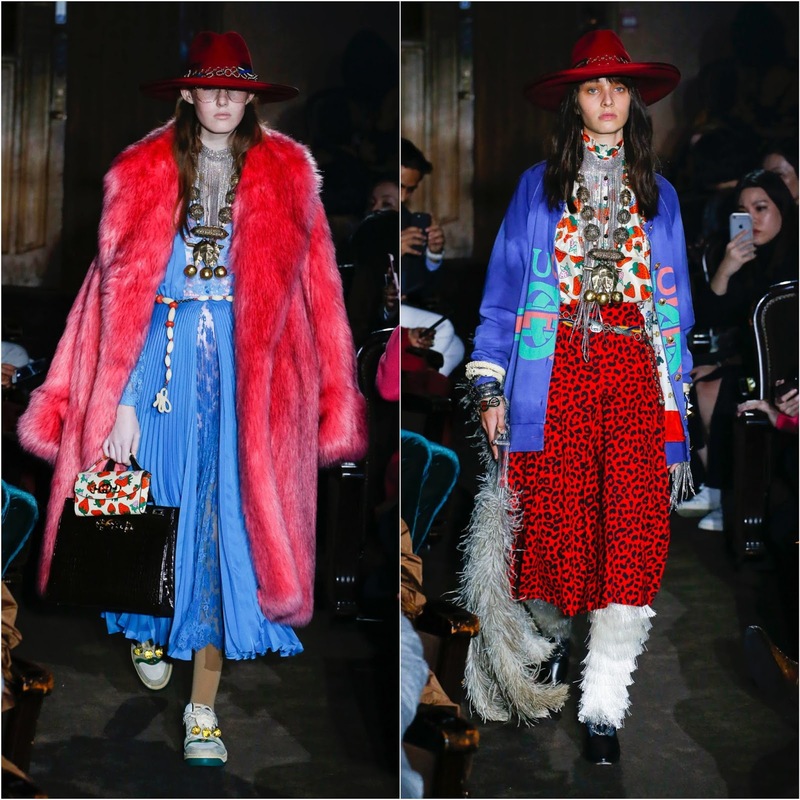 Michele has singularly revived the Italian House of Gucci bringing back the past to making it cool and UBER hip...Vogue.com calling it a "Vintage-retrieving design formula". 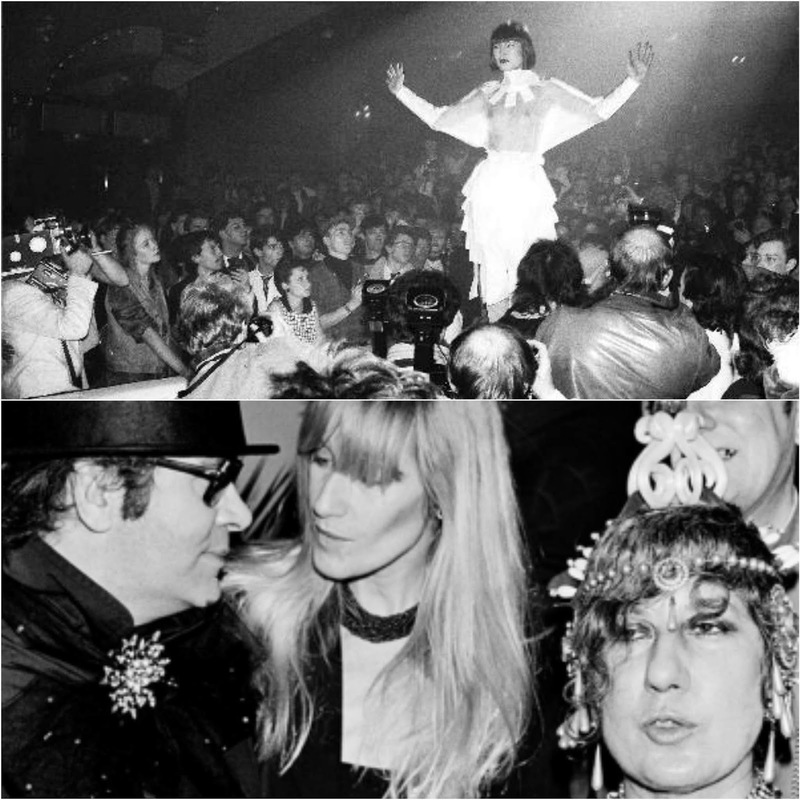 INSPIRATION: Le Palace Club, the late 70's/80's Montmartre Paris nightclub du jour, think of it as Studio 54 Paris. 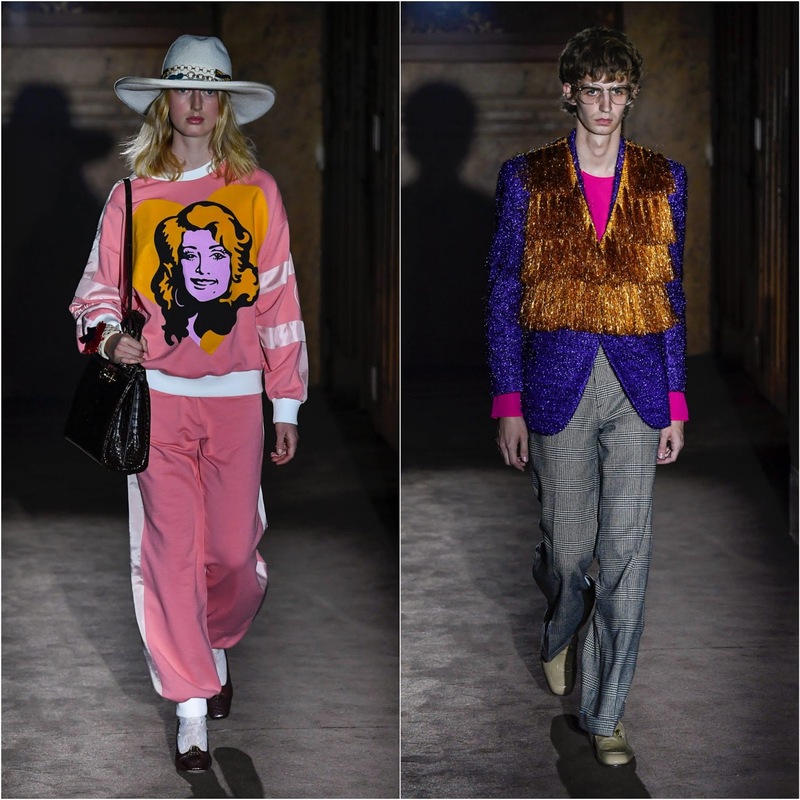 This was THE PLACE to be seen at during those times; think Yves Saint Laurent, Loulou de la Falaise, Issey Miyake, Antonio Lopez, Karl Lagerfeld...Disco, Drugs, all night Fabulousness. 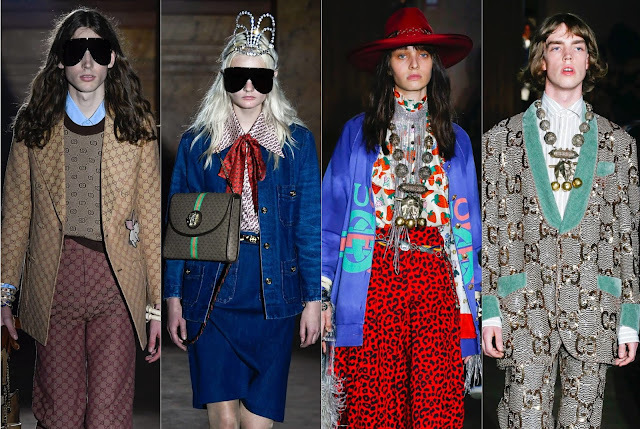 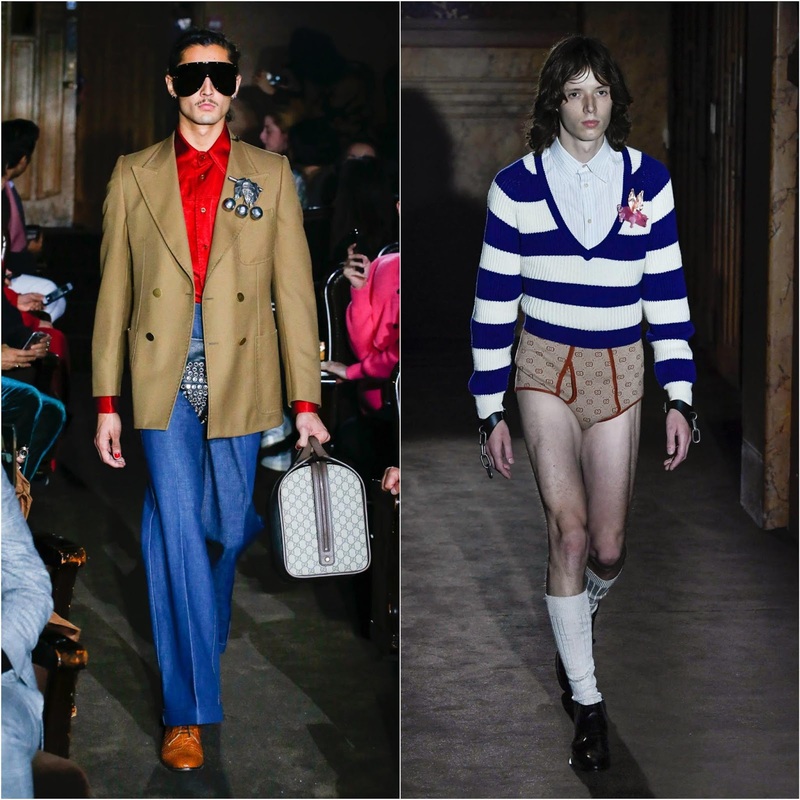 SEEN ON THE RUNWAY: Lots of 70's Gucci GG logo jackets, pants, "Leather-Boys"-inspired jock straps, glitter, Lurex, Lame bodysuits, high-waists, boxy "Grandma Chic" suits, 80's shoulders, Showgirl headdresses, Mickey Mouse bags. 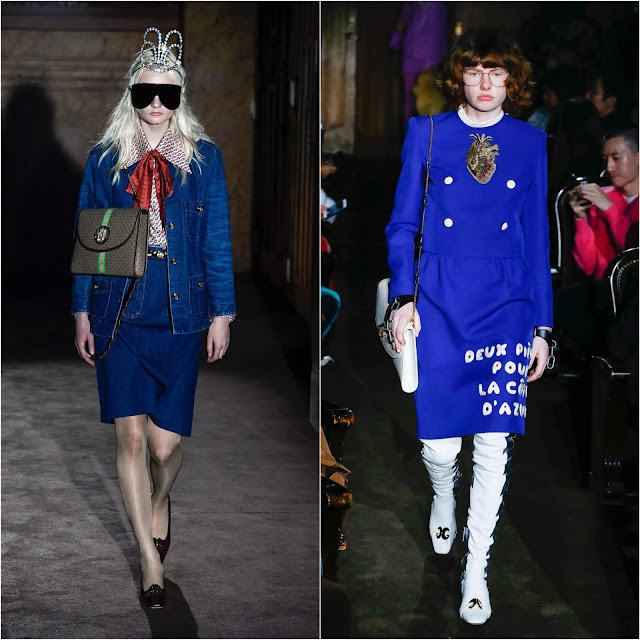 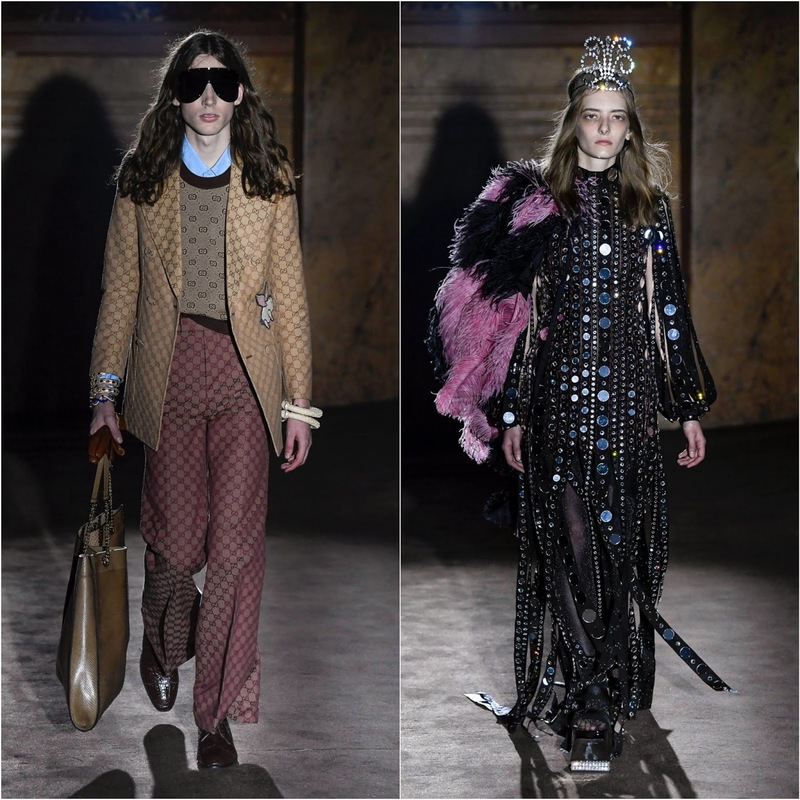 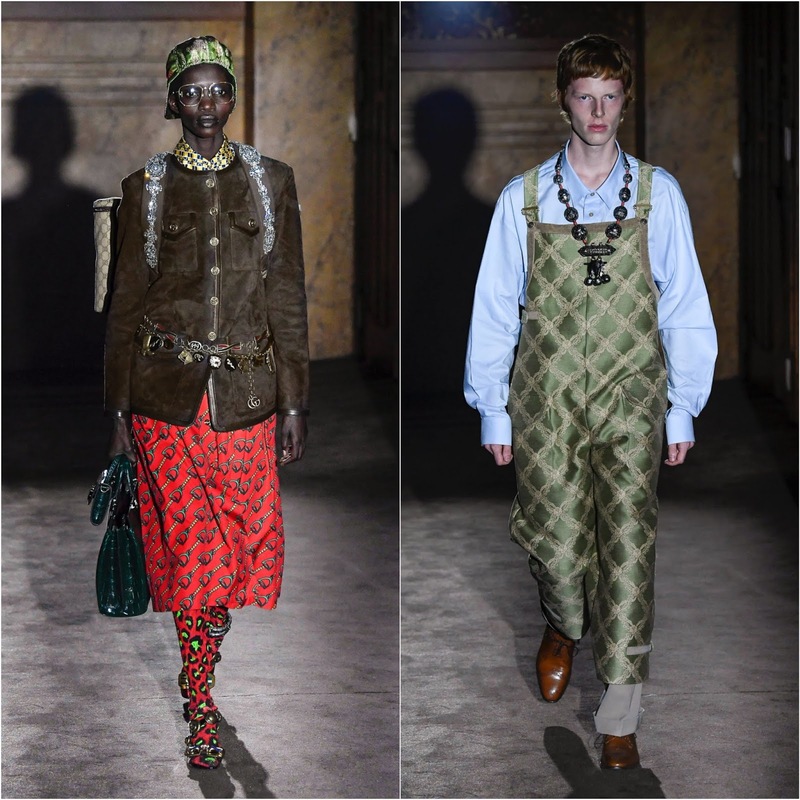 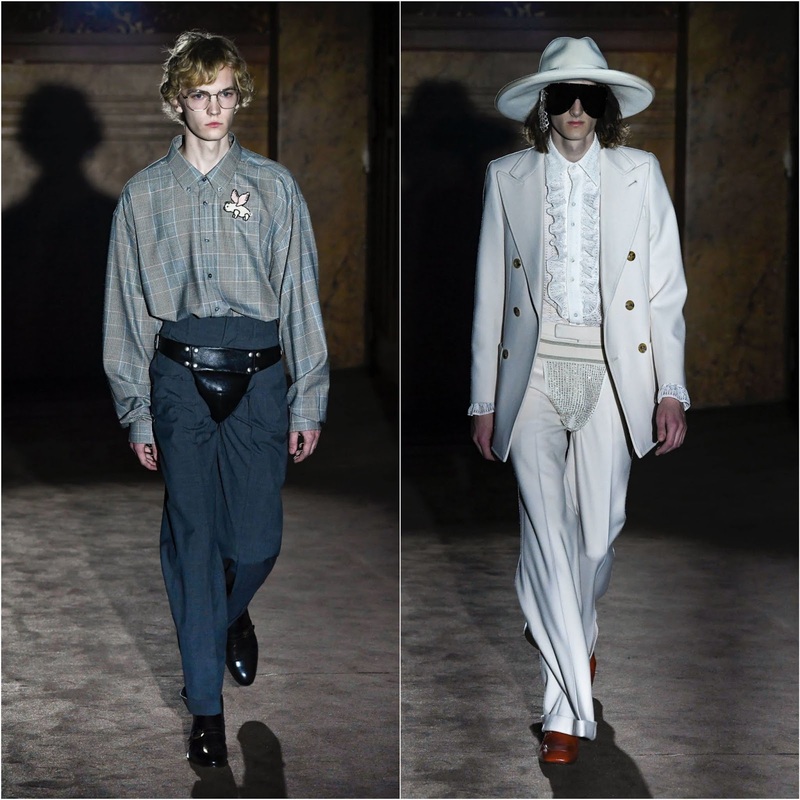 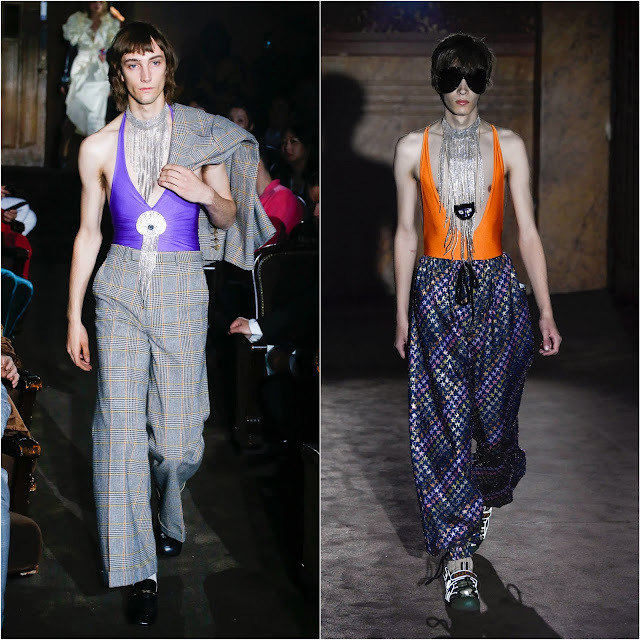 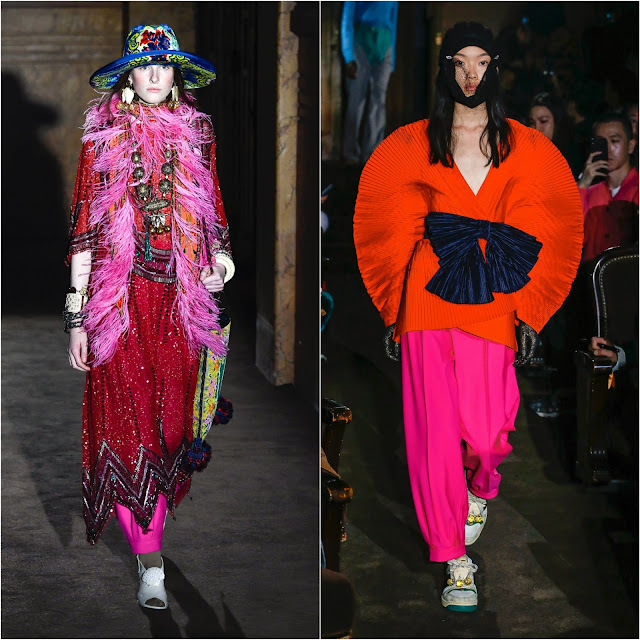 0 Response to "RUNWAY REPORT.....Paris Fashion Week: GUCCI Spring/Summer 2019 Collection + Video"